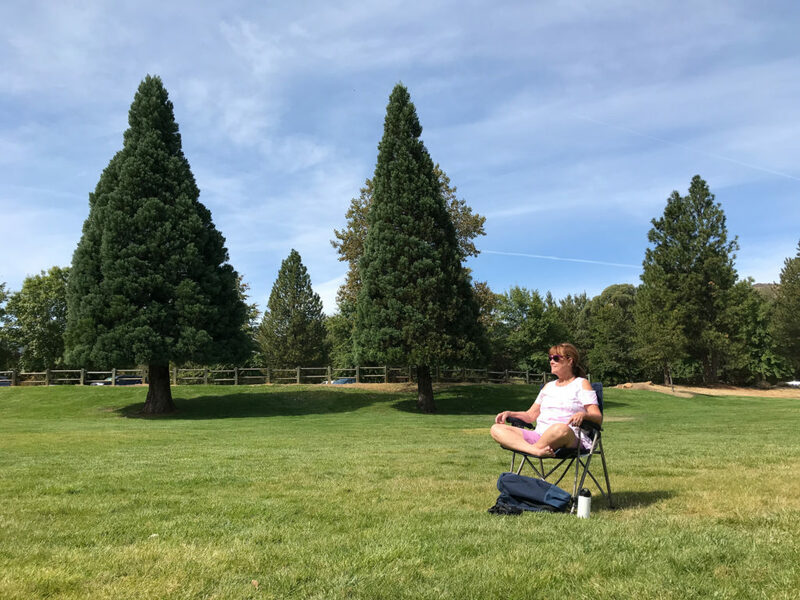 Before I left for a weekend getaway in Siskiyou County, I had visions of e-biking on Mount Shasta with my 70-year old Mom, and taking her for long hikes in the area because the weather was gorgeous. Plus, it was the first weekend of fall and spending time outside seemed like a great idea. However, my Mom was recovering from a cold, so we changed our travel itinerary slightly. There were a lot of exciting events happening in Siskiyou, so modifying our plans wasn’t a problem. I hope sharing our story of weekend adventures will spark a few travel ideas for you! We rolled into Dunsmuir, CA in the early afternoon. The sky was bright blue, and it was 79 degrees outside. The air had a slight chill near the river, and the surrounding forest smelled refreshing! 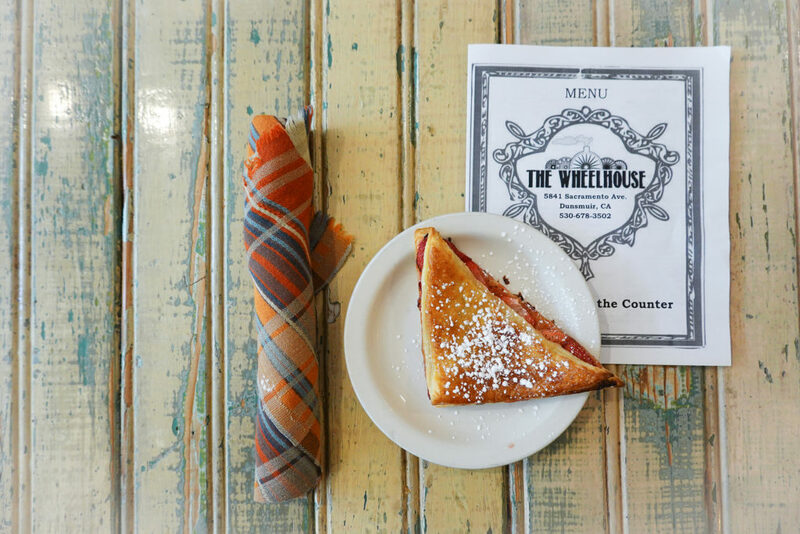 We spent a few hours wandering around downtown taking photos and stopped at The Wheelhouse for a homemade strawberry turnover and locally roasted Northbound Coffee. Then we headed to Yreka. The theater had a full house, and I had fun chatting with fellow attendees before the movie began. For example, I talked to a gentleman from Long Beach, CA. 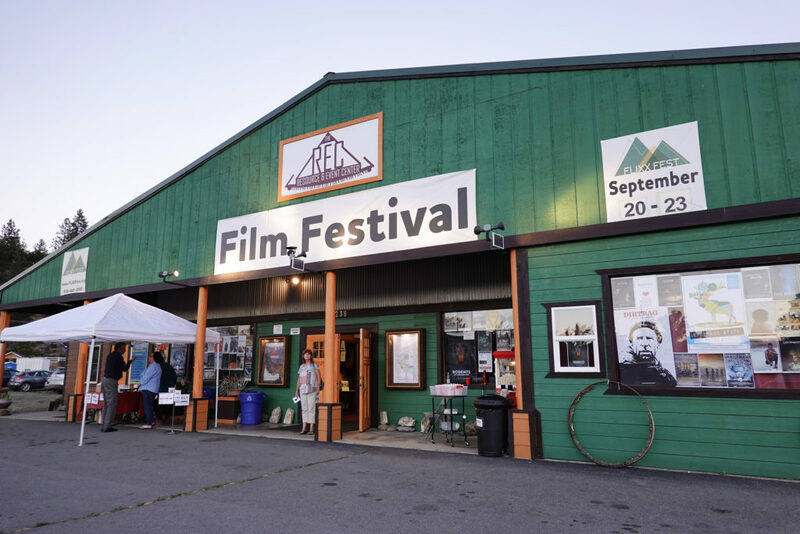 It was his third year attending the FLIXX Festival, and he preferred FLIXX to the Sundance Film Festival because it’s less crowded and the locals are friendly. His story summed up the vibe of the festival perfectly! It would have been easy to watch movies all weekend! However, we wanted to attend a few more events, explore different parts of the county, and have a little bit of downtime. On Friday morning, we left the Holiday Inn for the 19th annual Montague Hot Air Balloon Fair. After parking at the fair, we scoped out the area. I noticed a small hill near the balloon field, and we decided to walk up the hill to get a better view of the balloons. Being up high was the perfect place to watch the mass balloon ascension, and take hundreds of photographs! The sunrise rise was gorgeous, and the sky was clear. Also, each balloon had a name, and my favorites included Smokey, Gem, Kearney’s Mistress, and Daybreak. In-between the morning and evening balloon events, we explored Yreka. Some of our favorite stops included Zephyr Books & Coffee and Greenhorn Park. We also explored Miners Street by foot. We ran out of time to do all the things, but we made a to-do list for our next visit to Yreka. 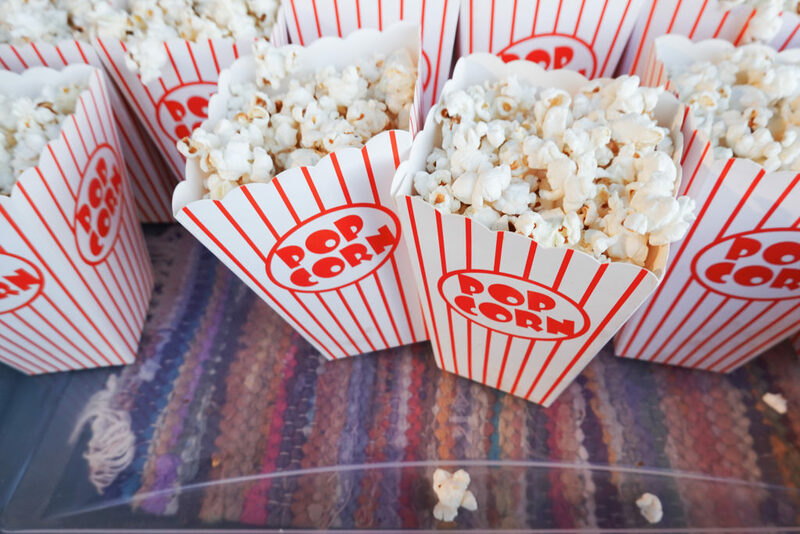 Things to do and see on our list include eating at the Miner St. Meat Market, painting at Bella Art Works, and checking out the Hospice Thrift Shop. And last but not least, we went back to Montague in the evening to watch the balloons light up the night sky. 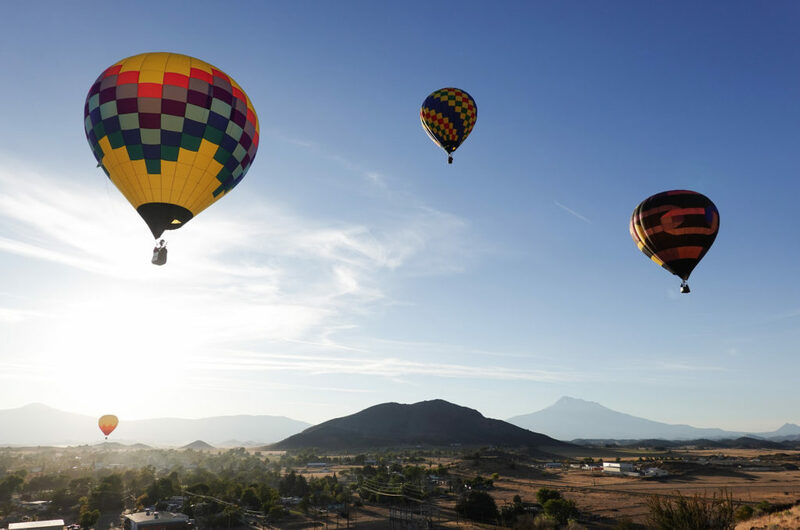 We loved the experience, and want to attend the balloon fair next year. After trying to see all the things in Yreka and Montague on Friday, we decided to slow down on Saturday morning. I woke up early, edited photographs that I took at the balloon fair, and then headed to CrossFit Northern Limits for a class, while my mom enjoyed swimming at the Holiday Inn. Rather than mountain biking, we decided to visit the Stewart Mineral Springs Bathhouse in the afternoon. Upon arrival, the attendant told me that “the waters from the springs had a healing effect” and I hoped that the mineral water would slay my mom’s cold. 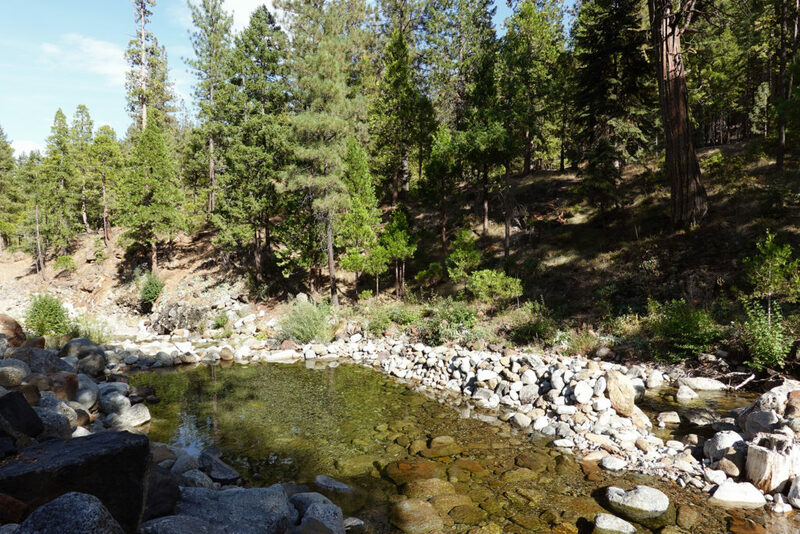 After our mineral bath, we took a sunbath on the deck, and then we explored the grounds. On the drive back to Yreka, Mom said she felt much better. I don’t know if the water from the springs eased her cold or not, but it was a great experience! 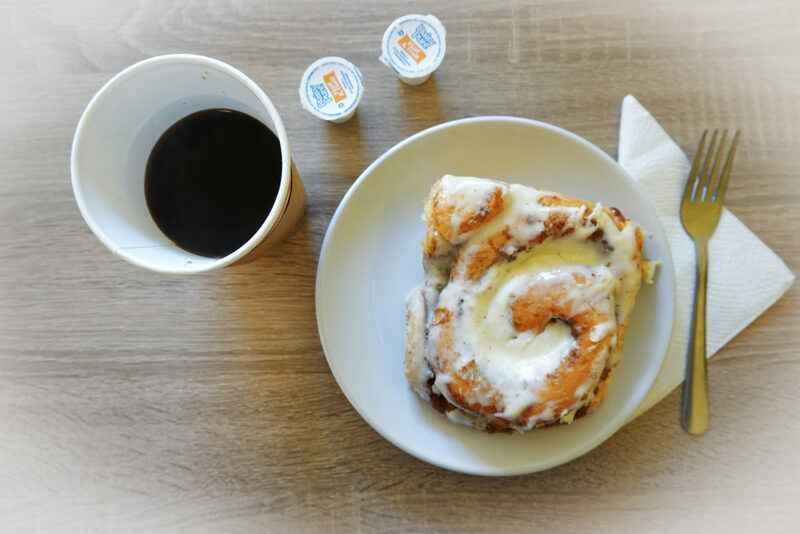 The Dough Hook in Dunsmuir, CA makes the best cinnamon rolls, ever, and if you time your visit right, you might experience more than a sugar rush. After mom and I ordered food and drinks, I started chatting with a fellow patron—Derrick—about our giant cinnamon rolls. He came in for a treat and to talk with Marc—one of the owners—about magic. I learned that Derrick and Marc do magic for fun. Before we left for Hedge Creek Falls, we were treated to an impromptu magic show. It was the perfect way to end our weekend adventure in Siskiyou! 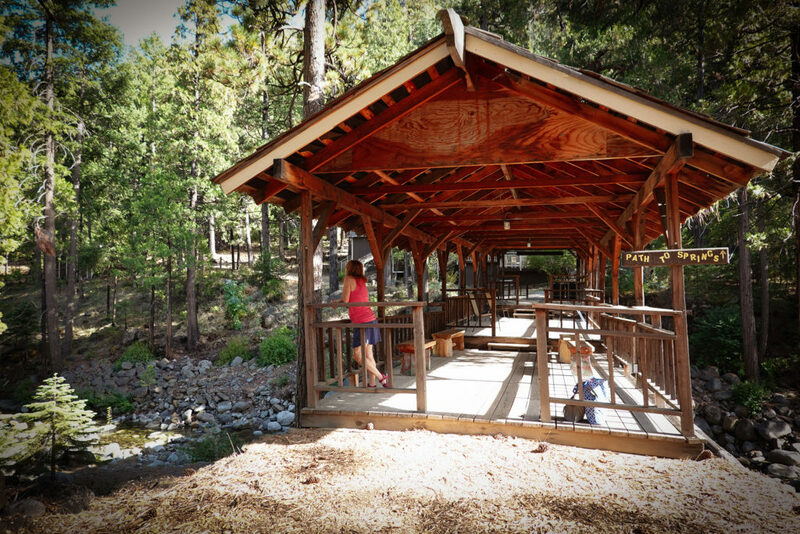 —Lodging: There are a lot of great lodging options in Siskiyou, and it was hard to decide where to stay. 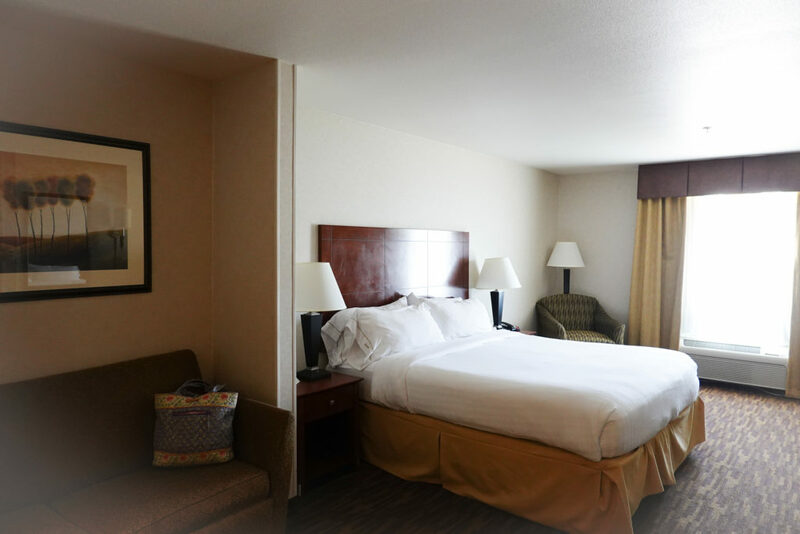 We chose the Holiday Inn Express in Yreka because it was a nice mid-point between the communities we visited. Also, they have a free breakfast (my favorite item was the egg white vegetarian omelet). Plus, our room was lovely, the bed was cozy, and my mom enjoyed floating in their indoor pool. 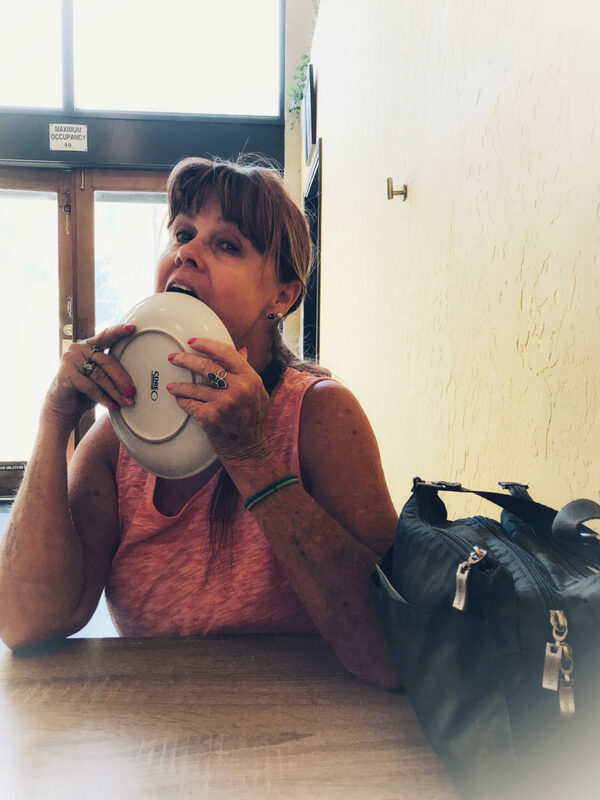 —Good Eats in Yreka: We enjoyed eating at The Wine Bar and Bistro, the Black Bear Diner, and Zephyr Books & Coffee. If you’re in need of a fast snack, Starbucks is a good option. Also, my mom stocked our mini fridge at the Holiday Inn with fruit, vegetables, and cheese from Grocery Outlet; it’s right down the road from the Inn. —Good Eats in Fort Jones: Try the excellent mac and cheese and tacos at Five Marys Burgerhouse. Also, California Heritage Farms has a seasonal U-Pick Berry Patch and occasional farm to table dinners. 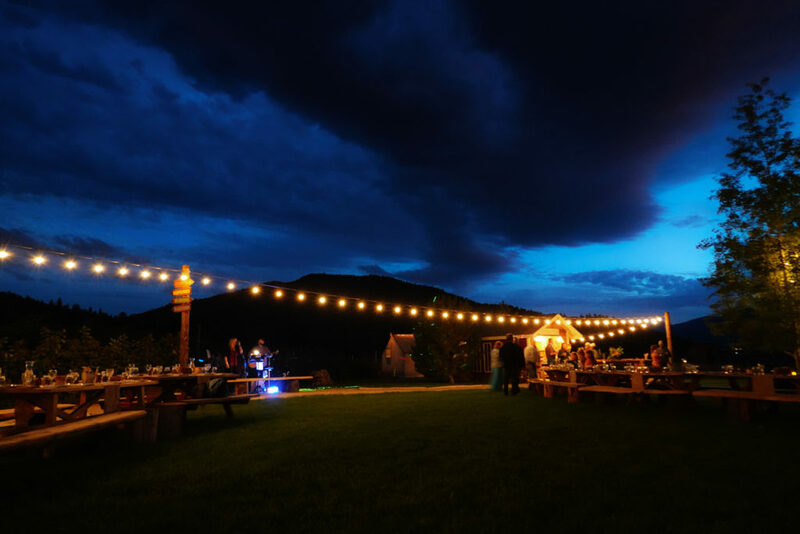 For example, on Saturday night we attended the 2018 FlIXX Fest Awards Dinner at California Heritage Farms. The delicious multi-course meal was created by Andrew Will owner of TOT Restaurant in Ashland, OR. Denny Bar Co. provided spirits, and attendees sipped on local wine while listening to live music.